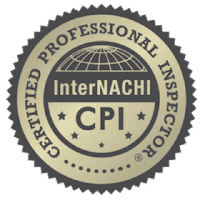 I am an InterNACHI Certified Professional Inspector, IAC-2 Radon and Mold Certified and hold many other InterNACHI Certifications to include Advanced Electrical, Roof Certification, Chimney Certification and much more. I have worked in light residential construction doing framing and deck construction along with some home remodeling (mostly kitchen). 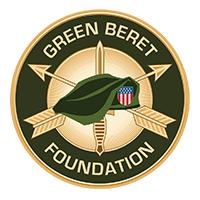 I spent 10 Years with 10th Special Forces Group Airborne (Green Berets) as a Senior Weapons Sergeant. I enjoy an active lifestyle of playing soccer, weight training, skydiving, and working to build the best home inspection business in the industry! I am always available to answer questions and help wherever I can. I am an InterNACHI Certified Professional Inspector as well as IAC-2 Radon and Mold Certified. I come from a family of professional builders, and I have worked in stone, brick, and block masonry; concrete and foundations; roofing and framing. I spent 10 years with 10th Special Forces Group and 1st Special Forces Command as a Senior Communications Sergeant. Thank you for choosing us to meet your home inspection needs. We know what to look for to protect your investment when it comes to the structural integrity of your home. Our commitment to service and quality are unmatched, guaranteed! I am always available to answer any questions you may have. Be sure that you’re getting the exemplary service you and your home deserve. REQUEST AN AMERICAN PROFESSIONAL HOME INSPECTION TODAY!